Gabriela first learned to cook from her aunt and grandparents. 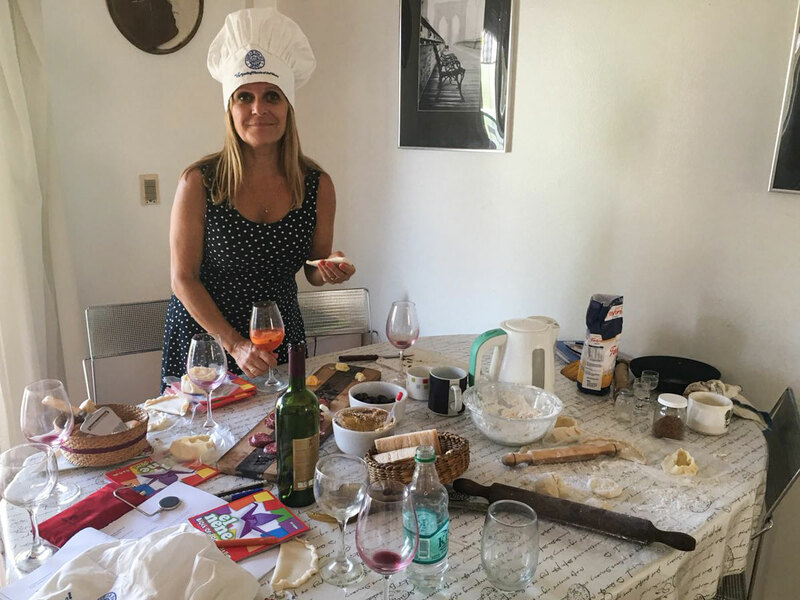 Her grandparents, who were of Spanish origin and came to Argentina as teenagers escaping the war, owned a pasta shop where they produced ravioli, agnolotti, and a variety of other fresh pastas. Gabriela grew up in Buenos Aires’s La Boca neighborhood, famous for its artist community, and her grandparents (also artists themselves!) sold pasta to all the artists of the neighborhood. 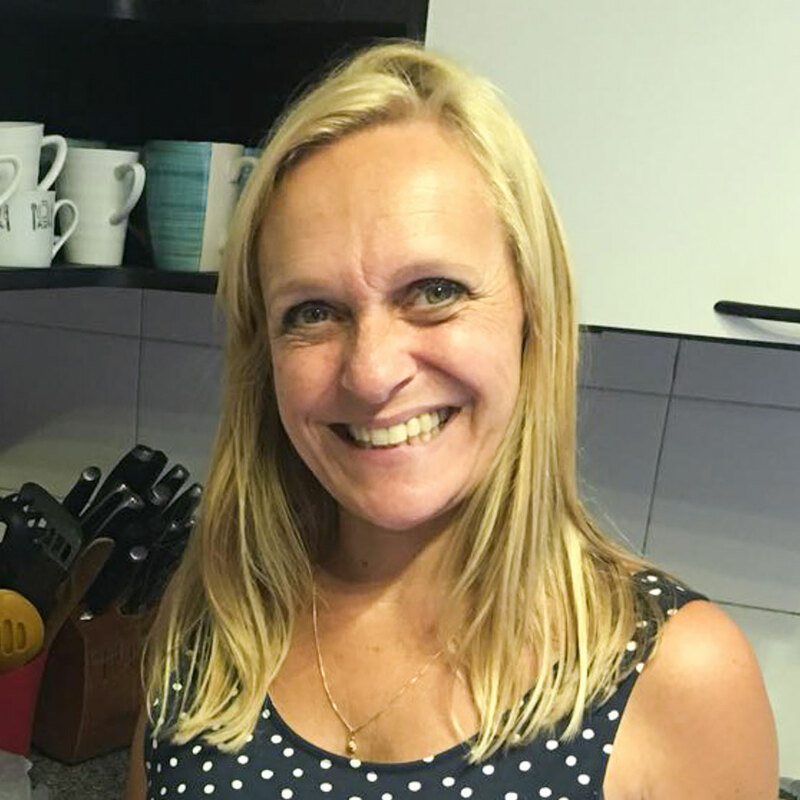 A social person from a young age, Gabriela studied public translation and went on to work at Reuters for over two decades before she began teach language (Portugese and English) to young children. 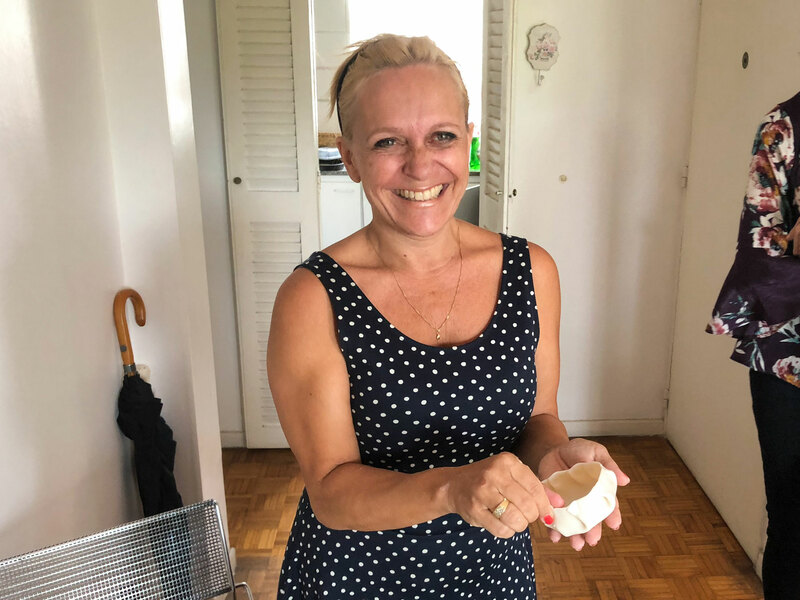 Gabriela is excited to share her passion for food and connection with travelers – she says that she loves cooking and loves to teach, and Traveling Spoon is the perfect combination of both! She is the person who stops every person she sees with a map to ask how she can help, so if you have any questions about your visit don’t hesitate to ask this Buenos Aires native. 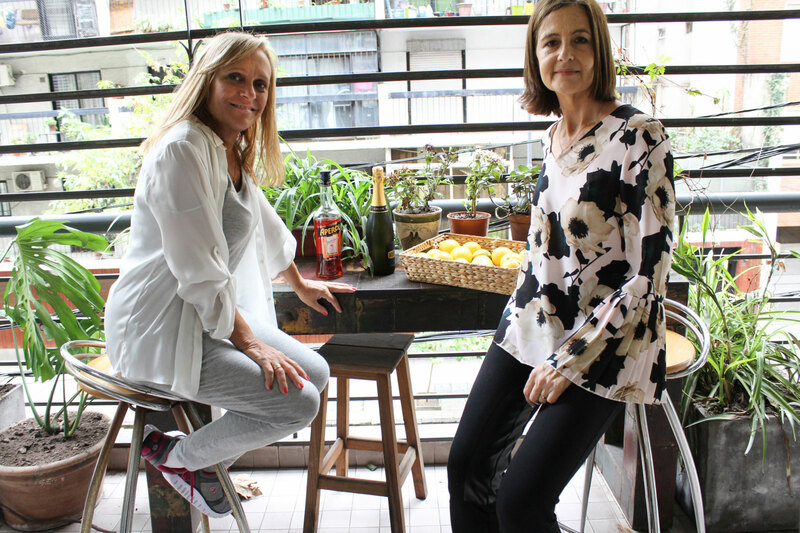 Gabriela will also host some of her experiences with her close friend and neighbor, Patricia. Patricia is a former co-worker of Gabriela's from Reuters who studied arts, and enjoys good food and meeting new people. Patricia will be assisting with drinks for the experience, including a welcome spritz, wine and a homemade tea blend she creates herself. 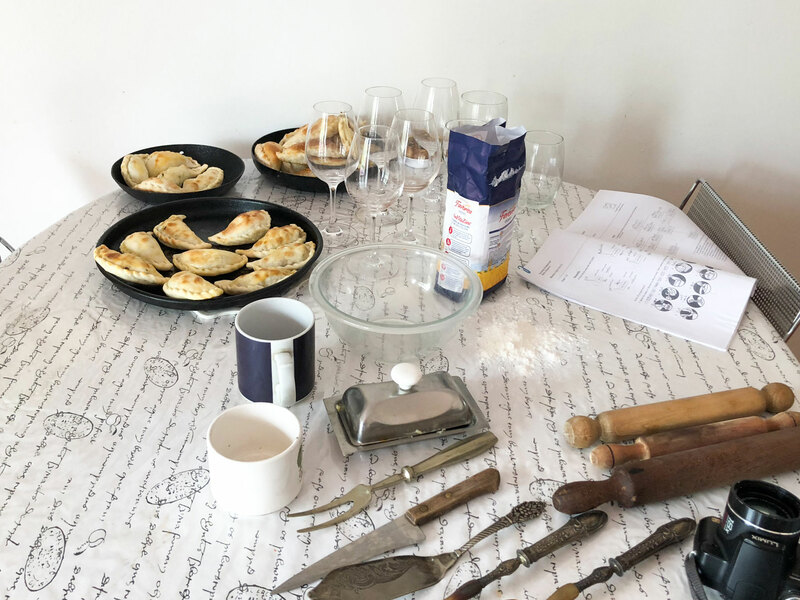 Cooking experience: (2-6 guests) Join Gabriela in her apartment in the Belgrano neighborhood of Buenos Aires for a traditional empanada cooking lesson. 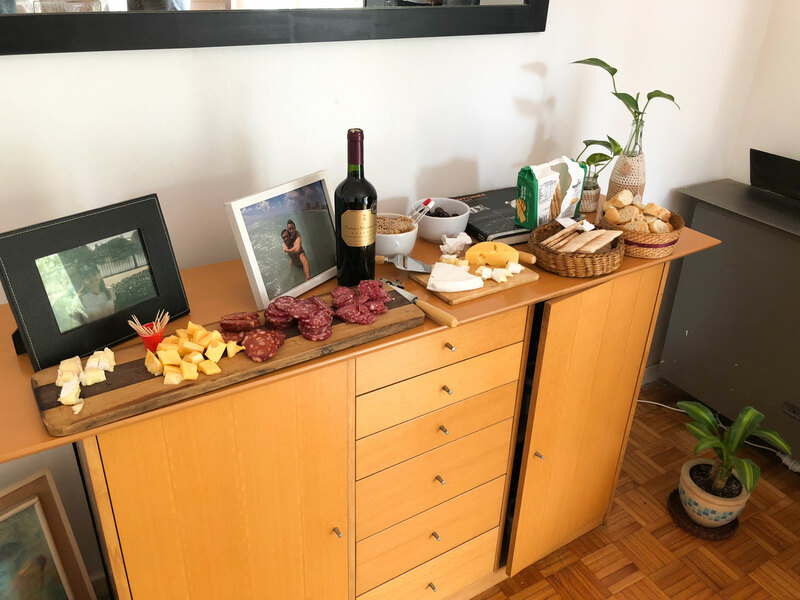 Over a welcome glass of wine or beer, enjoy a picada – a traditional Argentinian platter of cheeses, jams, and nuts – on Gabriela’s large balcony (weather permitting). 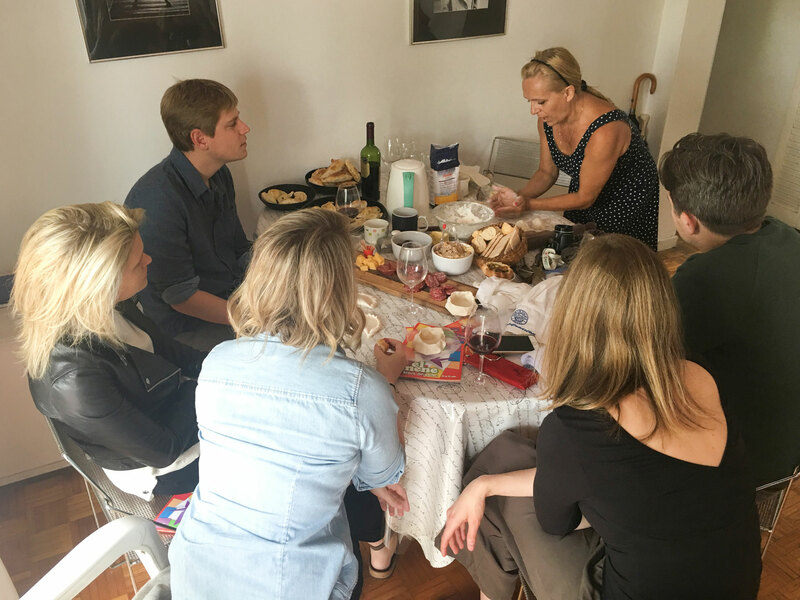 After you’ve enjoyed your welcome beverage and snacks, Gabriela will teach you to prepare the empanada fillings. Learn how to best prepare the meat as Gabriela shares her secrets for how to perfect the filling. 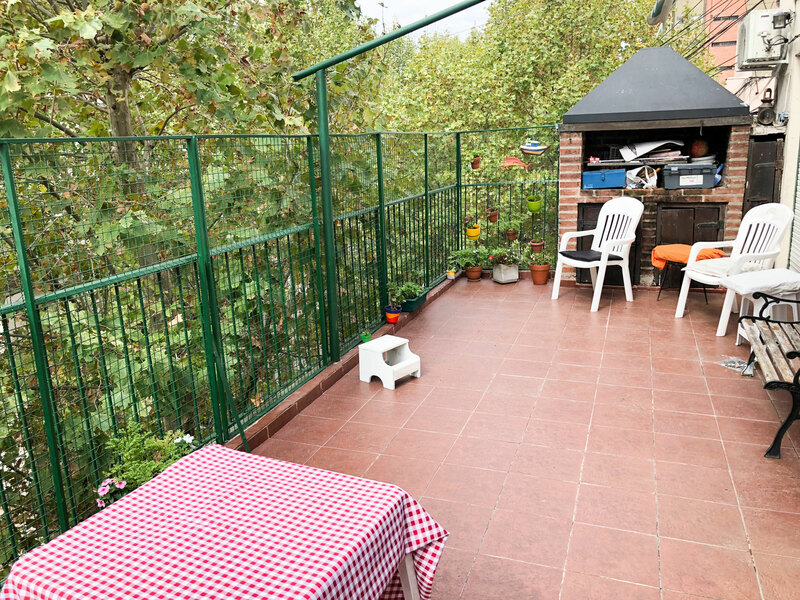 Note that the cooking portion of your experience will take place on Gabriela’s dining table, as she has a small kitchen. 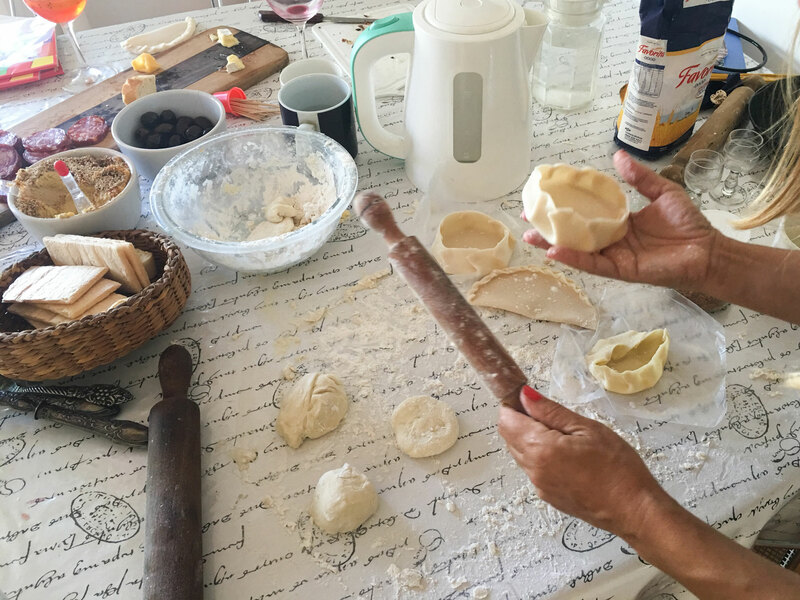 Gabriela can teach you the process of making dough for a small sample of the empanadas; because you’ll be making close to 50 empanadas Gabriela will also use some dough she has purchased from her local grocer to complete the rest. 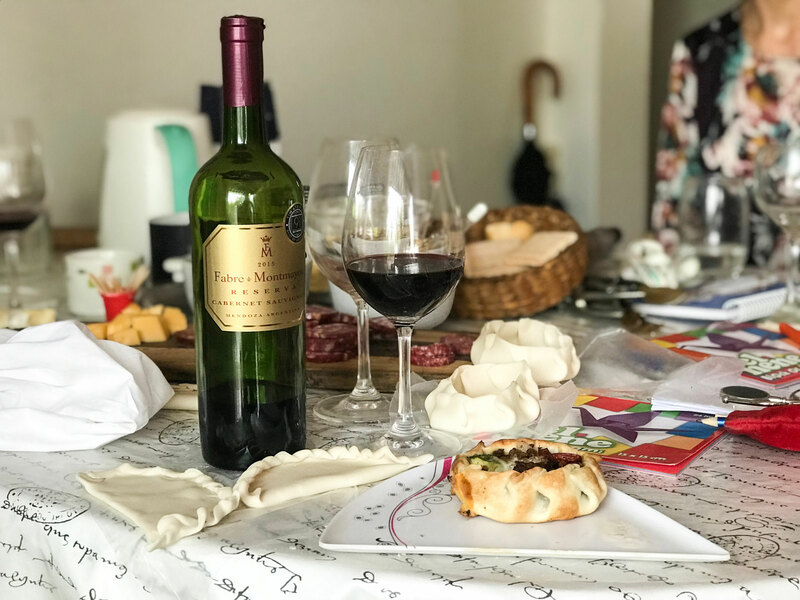 You will learn to prepare three different fillings, which might include a chicken, onion and leek filling, a zucchini, onion and cheese filling, and the traditional Argentinian cheese and jam filling. After you’ve finished cooking, enjoy your empanadas which will be served alongside a fresh salad. End your meal with a dessert of chocotorta, a traditional Argentinian layered cake of chocolate, biscuits and dulce de leche, served with coffee if desired. Your total experience will be around 3-4 hours. 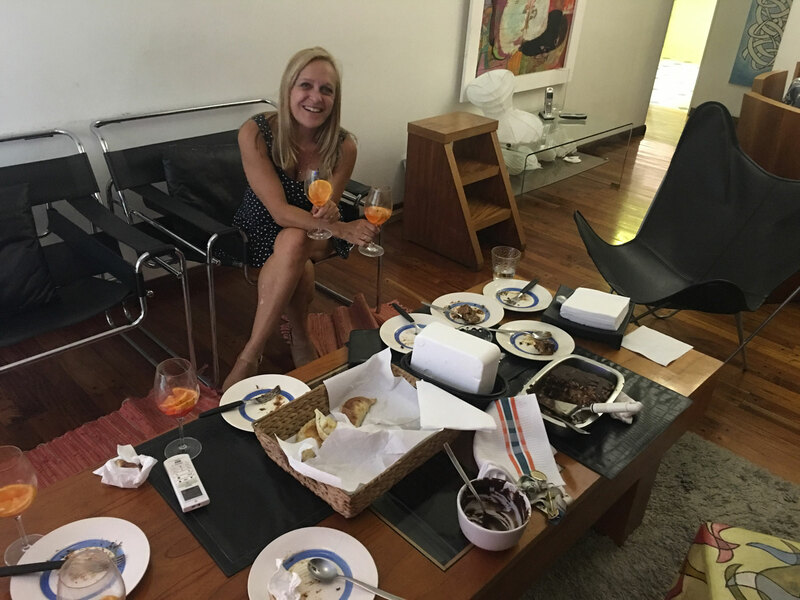 Notes: Please note that people typically eat quite late in Argentina! Dinner is traditionally served around 10pm. If you prefer an earlier start time please ask Gabriela while making your reservation. Also please note that Gabriela's apartment is on the 7th floor; there is an old-fashioned small elevator you will take to reach the floor. If you are interested in booking an experience with a larger group, Gabriela may be able to accommodate you at her friend's nearby apartment which is slightly larger. Please indicate this during your booking. Please note that the price of your experience includes alcohol. I never leave reviews, but this is worthy of one! The dynamic duo, Gabriela and Patricia, made my boyfriend and I (traveling together) feel like part of their family. 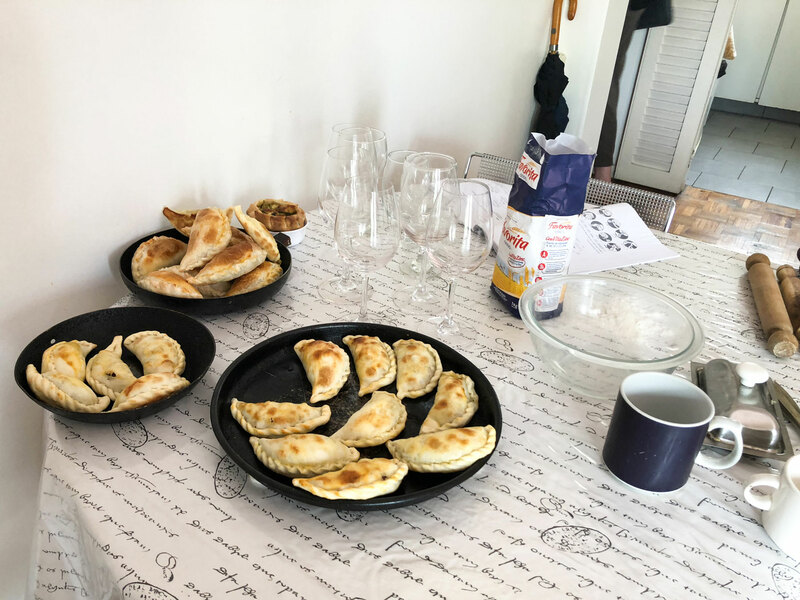 Not only did they make us feel beyond welcome, but they taught us how to make delicious empanadas in order to be able to make them for our friends and family back home! It was also my birthday the day prior to this experience and my boyfriend mentioned that to them, they in turn made me a delicious cake with candles on it to blow out and gave me the most precious pearl earrings as a gift. They went above and beyond my expectations when we signed up for this! 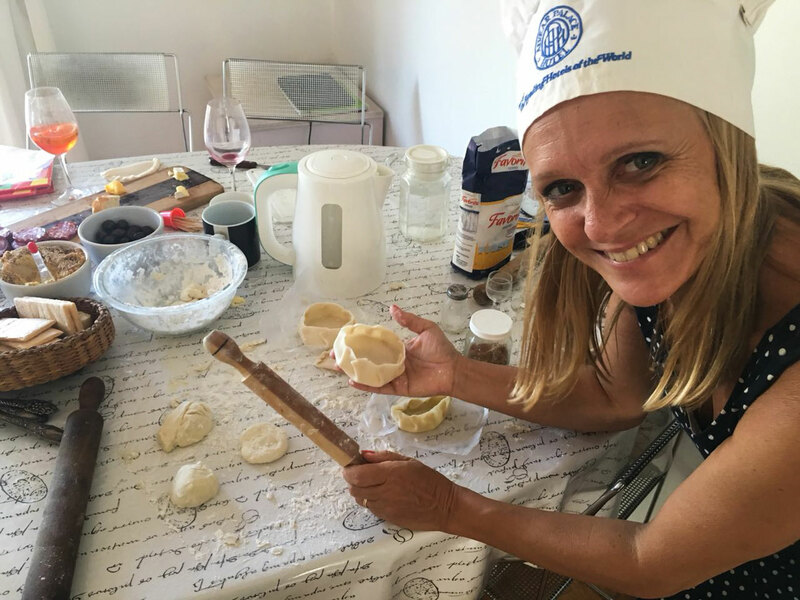 If you’re considering doing any sort of empanada cooking class while in BA, then look no further! You’ve found the best class there is! I highly suggest signing up for this amazing experience!